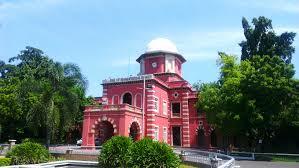 Anna University was established on 4th September 1978 as a unitary type of University. It offers higher education in Engineering, Technology and allied Sciences relevant to the current and projected needs of the society. Besides promoting research and disseminating knowledge gained therefrom, it fosters cooperation between the academic and industrial communities.The University was formed by bringing together and integrating two well-known technical institutions in the city of Madras. Since December 2001,it has become a large, highly renowned Affiliated University, having brought into its fold about 426 Self-financing Engineering Colleges six Government Colleges and three Government-aided Engineering colleges located in various parts of Tamilnadu State. Anna University, located in the southern part of the city of Chennai (former Madras), fosters cooperation between the academic and industrial communities besides promoting research activities. The University's main campus extends over a few hectares adjoining the Adyar River on the north and Raj Bhavan on the south. Anna University, located in the southern part of the city of Chennai (former Madras), fosters cooperation between the academic and industrial communities besides promoting research activities. The University's main campus extends over a few hectares adjoining the Adyar River on the north and Raj Bhavan on the south. -Anna University, located in the southern part of the city of Chennai (former Madras), fosters cooperation between the academic and industrial communities besides promoting research activities. The University's main campus extends over a few hectares adjoining the Adyar River on the north and Raj Bhavan on the south.